ISLAMABAD: Operations for rescuing Russian climber Alexander Gukov, who is stranded on Latok-I at an altitude of 6,200 metres, have been delayed further due to bad weather. 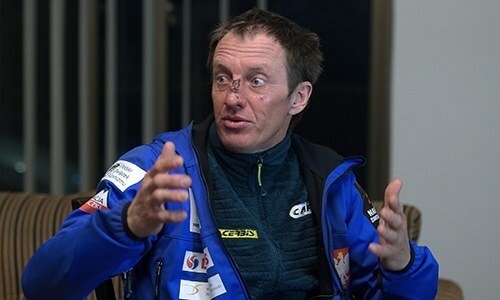 Gukov and his team mate Sergey Glazunov met with an accident on July 25 during which Sergey fell to his death and Gukov was stranded on the 7,145 metre high mountain, that is located in the Karakoram Range. “Both the mountaineers are extreme athletes and have a reputation for climbing some of the hardest routes on some of the most technically challenging mountains and Latok-I is one of them. In fact, the duo is among the handful of climbers who attempt impossible feats,” said Neknam, who is managing the two-member expedition. He said the duo were caught in a similar dangerous situation in 2017 when they were attempting the same peak and were stuck on Latok-I for five days. 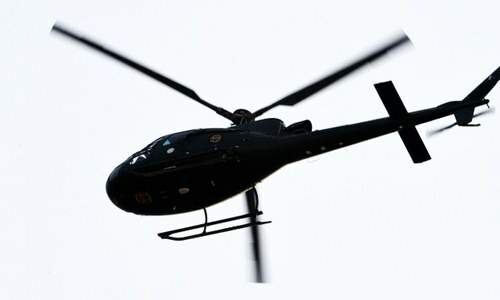 “However, the helicopter could not fly out due to bad weather. The weather did clear but visibility was poor above 5,000 metres and the climber is stranded at 6,200 metres,” Neknam said. He explained that when the helicopter does fly, they will attempt what he said was a long line rescue where the trapped climber will be tied to a rope and pulled up by the pilots. “There has been some fresh snow and it is not safe for teams on ground to climb up. The route that the Russian climbers were on is one of the hardest to negotiate and which most climbers have failed to scale in the last 40 years,” Neknam said. Alexander Gukov and Sergey Glazunov were aiming to ascend through the mountain’s North Ridge, famously first attempted in 1978, the Alpine Club of Pakistan (ACP) said. 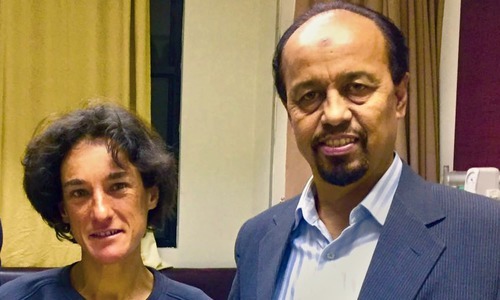 In the following 40 years, the fearsome and seemingly never-ending arduous 2, 400 meters crest line has been unsuccessfully attempted repeatedly by many of the world’s leading alpinists, said ACP Secretary Karrar Haidri, adding that after a failed attempt in 2017, due to shortage of food, both the Russian climbers had returned to try again. Karrar Haidri said Latok is a small cluster of four dramatic rock peaks Latok-I, II, III and Latok-IV. All of the summits are notable for their extreme technical difficulties, and they have been the scene of some of the hardest climbing action done at high altitude anywhere in the world. Latok-I was first climbed in 1979 by a Japanese expedition. Karrar Haidri said Latok-I is an extremely challenging peak to climb compared to some of the 8, 000 metre- plus peaks, the kind of challenge some mountaineers prefer.